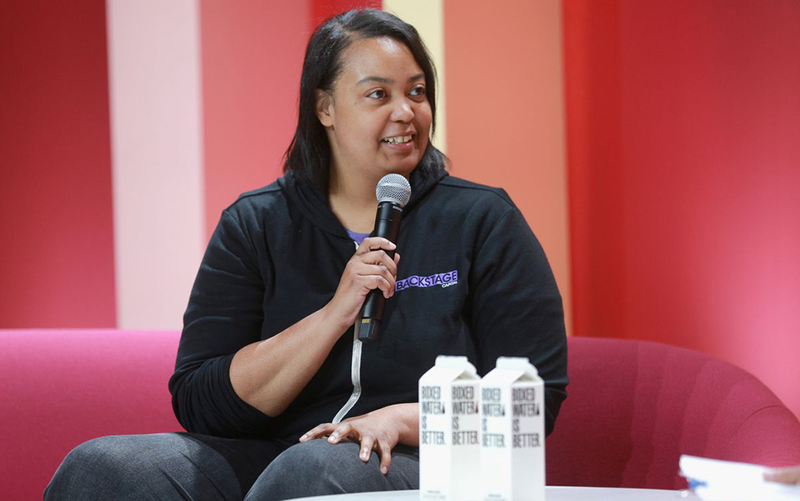 Backstage Capital founder Arlan Hamilton recently announced the launch of a fund specifically for Black women founders. On May 5 she tweeted, ?The rumors are true. Today I announced that my venture capital firm Backstage Capital has launched a $36m fund that will invest in Black women founders $1mill at a time. Thank you to the Backstage Crew, headliners, LPs, mentors & network for making this moment possible.? In a November 2017 interview with The Network Journal, Hamilton noted that while they can?t fund everyone, Backstage looks for companies that have gotten a lot done without using capital. ?There are a lot of companies that fit that profile, but there are some that go the extra mile and show undeniable potential,? she said. Some of those companies that Hamilton references are founded by women. It is widely known in venture capital circles that women-owned businesses ?have gotten a lot done without using capital? because, often, there is little to no capital to pull from. Business Insider reports that in 2017, female founders received only 2.2% of the $85 billion invested by venture capitalists, according to research by Pitch Data. For Black women founders, the percentage is even lower, despite the huge increase of Black women-owned businesses, which makes Hamilton?s announcement so right on time. As we noted in our article, “Breakfast, with Love! Partnership Celebrates Black Female Founders During Black History Month,” according to a 2015 article published by Fortune, the number of businesses owned by African American women grew 322% since 1997. ?Women now own 30% of all businesses in the U.S., accounting for some 9.4 million firms. And African American women control 14% of these companies, or an estimated 1.3 million businesses. That figure is larger than the total number of firms owned by all minority women in 1997, ? the article states. The rise of companies owned by Black women has also given way to companies dedicated to promoting the idea that Black women founders, whether in the tech space or other spaces, deserve to be funded. Digital Undivided is one of them and provides quantifiable research about the lack of Black women in tech while Black Women Talk Tech is on a mission to help Black women build the next billion-dollar company. Regarding Black female founders, the Fortune piece quoted above by Margot Dorfman, CEO of the Women?s Chamber of Commerce, states: ?We attribute the growth in women-owned firms to the lack of fair pay, fair promotion, and family-friendly policies found in corporate America,? she said. ?Women of color, when you look at the statistics, are impacted more significantly by all of the negative factors that women face. It?s not surprising that they have chosen to invest in themselves. ?